Just the thought of green mangoes coupled with spicy shrimp paste called "bagoong" is enough to make you long for it right away. 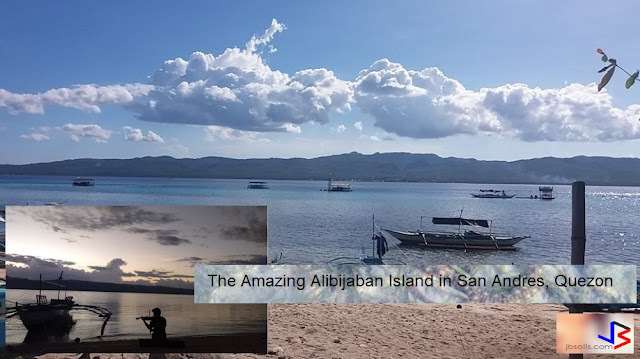 What more when it's placed in front of you? Well, actually, both ripe and unripe mangoes - the "king of fruits" - are popular all year round and we can only wish it's available all the time. The sweet ripe mangoes are loved by everyone, I guess. Who could resist this delicious and succulent fruit which has so many benefits aside from its yummy taste? 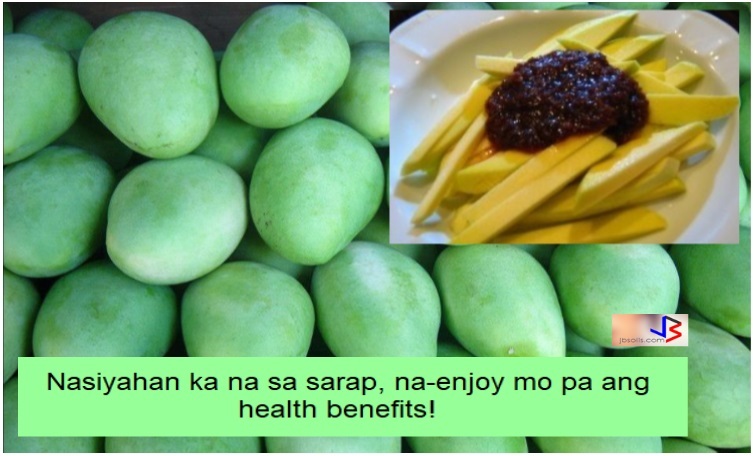 On the other hand, the green and unripe mangoes may not cater to everyone's taste buds but still, especially when it's freshly picked, unripe mangoes are so mouth-watering to many whether it's eaten as it is, with 'bagoong', salt and chili, soy sauce or sugar. But aside from these green mangoes being so mouth-watering, do you know that there are benefits from eating such also? 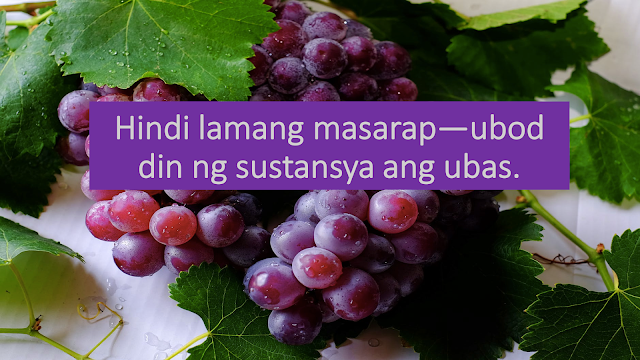 True, not just the ripe ones are good for us. When eaten with salt, unriped mangoes helps to prevent the excessive loss of water from the body and helps to quench our thirst, right. That means it also protects us from the adverse effects of very high temperature. A mango drink serves as an effective remedy for heat exhaustion and heat stroke. It prevents the excessive loss of sodium chloride and iron during hot summer months due to excessive sweating. Unriped mangoes is rich with pectin and when mixed with honey and salt, it is highly beneficial in treating gastro-intestinal disorders, such that eating one or two small tender mangoes (young mango with seed not fully formed yet) with salt and honey has been found to be very effective for indigestion, summer diarrhea, morning sickness, chronic dyspepsia, dysentery, piles, and constipation. Just wow. Perhaps this is why some pregnant women crave for green mangoes; their body telling them it's good to fight morning sickness. The green mango is valuable in blood disorders too because of its high vitamin C content; it increases the elasticity of the blood vessels and helps the formation of new blood cells. It likewise aids in the absorption of iron and prevents bleeding tendencies. It increases body resistance against anemia, dysentery, cholera and tuberculosis. Moreover, It is said to be an excellent fruit remedy for bilious disorders. ; and helps in treating liver disorders as it increase the secretion of bile acids and cleanses the intestines of bacterial infections; thereby acting as an intestinal antiseptic. Hence, daily consumption of green mango with honey and pepper cures biliousness. Green mangoes tone up the liver and keeps it healthy. 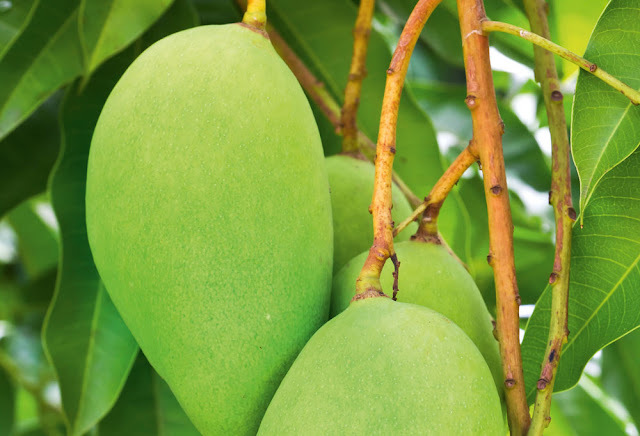 As an alkaline food, unripe mangoes help to control acidity to some extent because it is astringent and antiscorbutic. The skin of the unripe fruit is astringent and stimulant tonic. The bark is also astringent and has a marked action on mucous membranes. Do you also know that unriped mangoes have more Antioxidants and Vitamin C than ripe mangoes? These antioxidant properties - for our immune system - improve stamina and aids in protecting our body against cancer and cardiovascular diseases. We could also promote dental hygiene as eating raw mangoes helps to prevent bad breathe and gum bleeding as well as fight tooth decay..
Also, raw mangoes help to reduce weight because it contain less amount of sugar than the ripe ones. No need to count calories here. Isn't that great news? 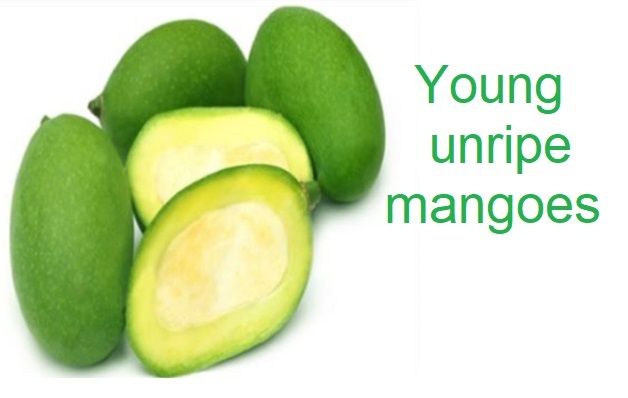 Take note, however, that unripe mangoes should not be eaten in excess. We should never consume more than one or two green mangoes daily. 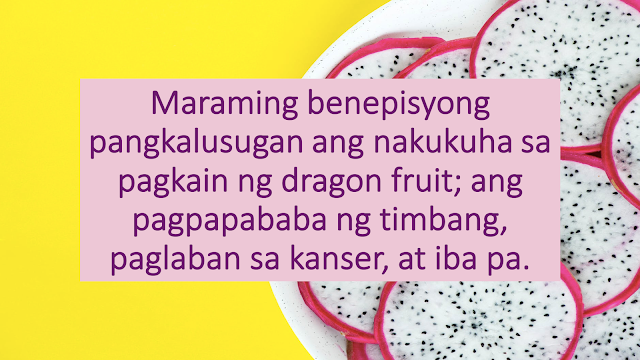 Also, do not drink water immediately after eating the green mango because it may coagulate the sap and make it more irritant. We wouldn't want that, right? Take note also that the sap or milky juice which comes out on breaking the stalk of the green mango is irritant and astringent. Hence, eating raw mangoes without draining the sap may cause mouth, throat and gastro intestinal irritations. Therefore, make sure to fully squeeze the sap out and best to peel that mango before devouring it. Too much consumption of raw mangoes may bring about ailments like constipation, eye affections, blood impurities and seasonal fever. Kids who eat too much of the fruit generally suffer from skin disease, so do keep watch. Raw mangoes preserved in oil and salted solution is done in many parts of the world. But these mango pickles, if extremely sour, spicy and oily are not good for those who suffer from arthritis, rheumatism, sinusitis, sore throat and hyperacidity. The next time you have those unripe mangoes within your reach, look at them with new eyes because now you know they are more than just mouth-watering! Interestingly, you might also want to know about Mr. Rogelio Espejo of Fullgreen Agro Corporation who developed the sweet mango Catimon variety --- especially if you've got a spacious vacant lot and want to grow mango trees! Continuous fruiting of that tree is a big wow! This article is filed under: mango, green mango, unripe mango, health benefits mango, excess mango, king of fruits, nutrition.